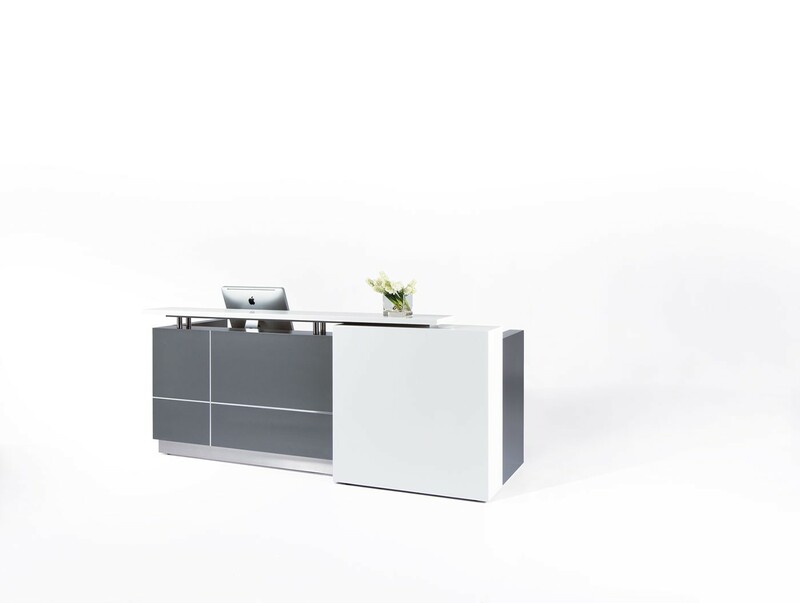 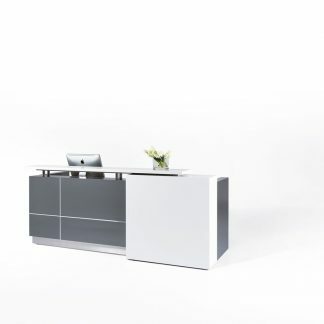 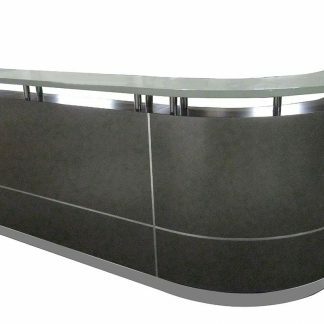 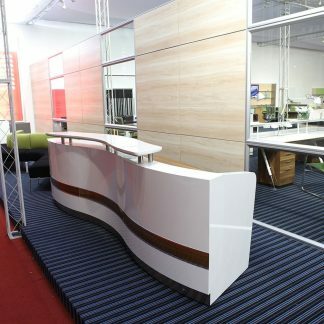 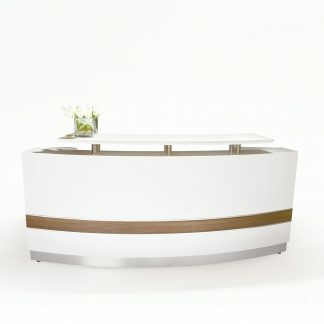 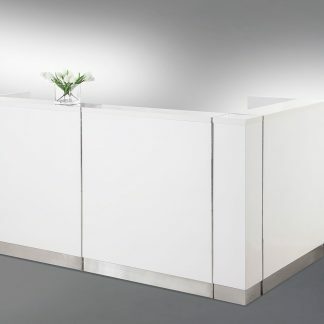 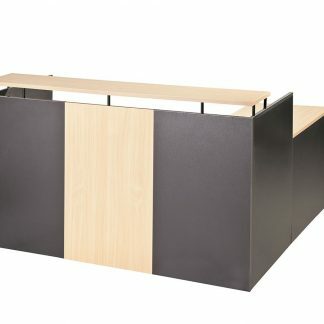 The Calvin Reception Counter comes in Left Hand Side and Right Hand Side versions. 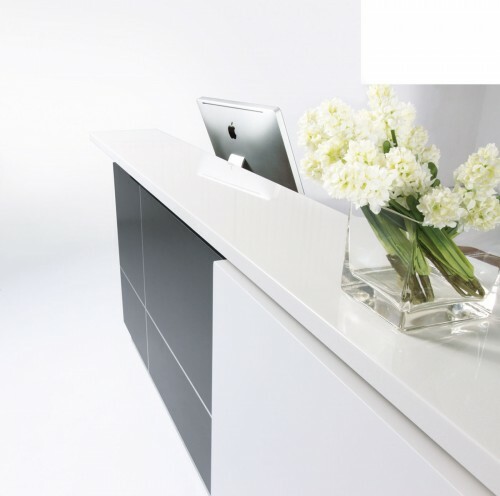 Stylish contemporary design with quality materials and fittings. 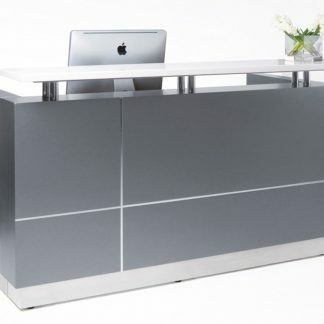 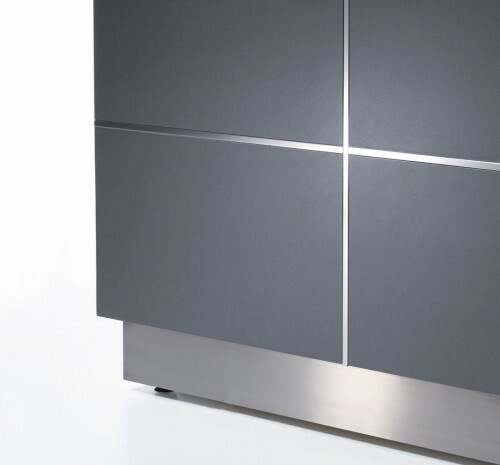 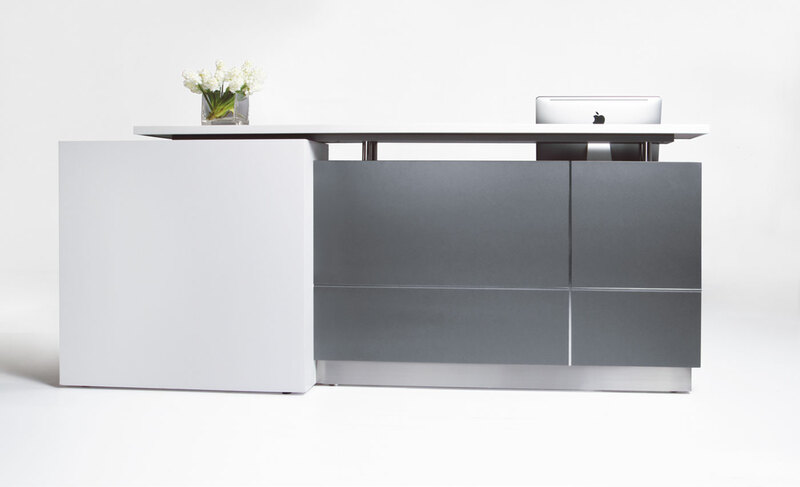 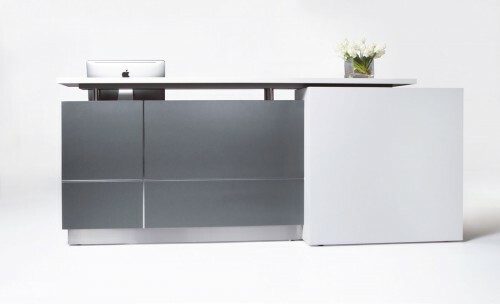 Counter body in metallic grey with feature matt white panel and aluminium trim. 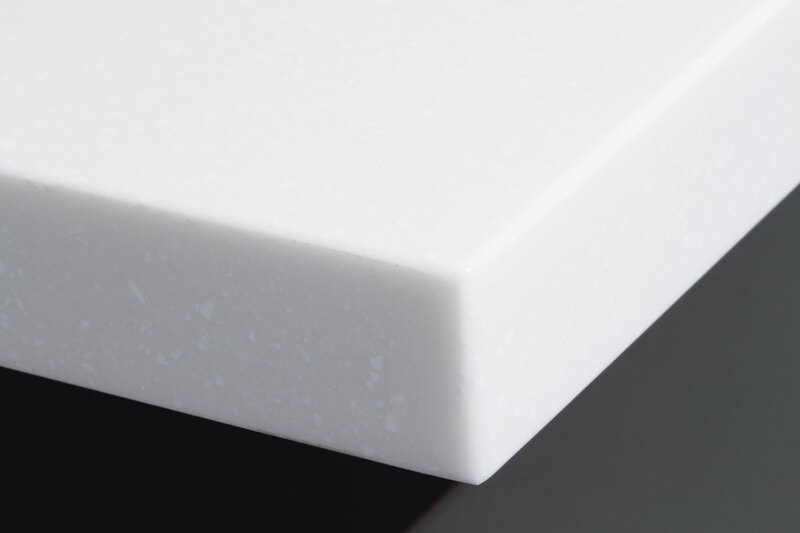 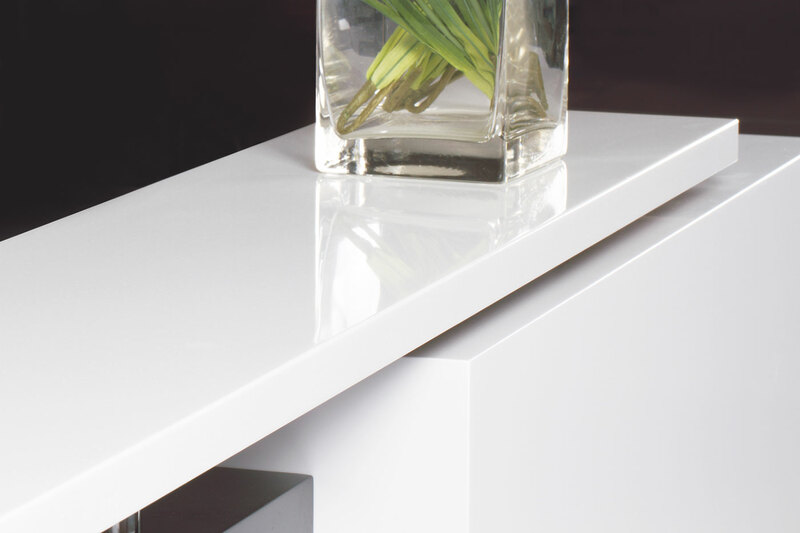 Matt teak or white desk top, jade white Caesar stone hob and stainless steel kick plate.